Samsung Galaxy S5, the latest flagship smartphone from Samsung has went on sale worldwide on Friday. It now comes with new Fingerprint scanner (Home key) , Heart rate sensor (via camera flash) ,IP67 Water and Dust resistant.The smartphone is available in 4 colors Charcoal Black, Electric Blue, Copper Gold and Shimmery White. The phone is now available in India at a price tag of Rs.51, 500 on the official site Samsung India estore. 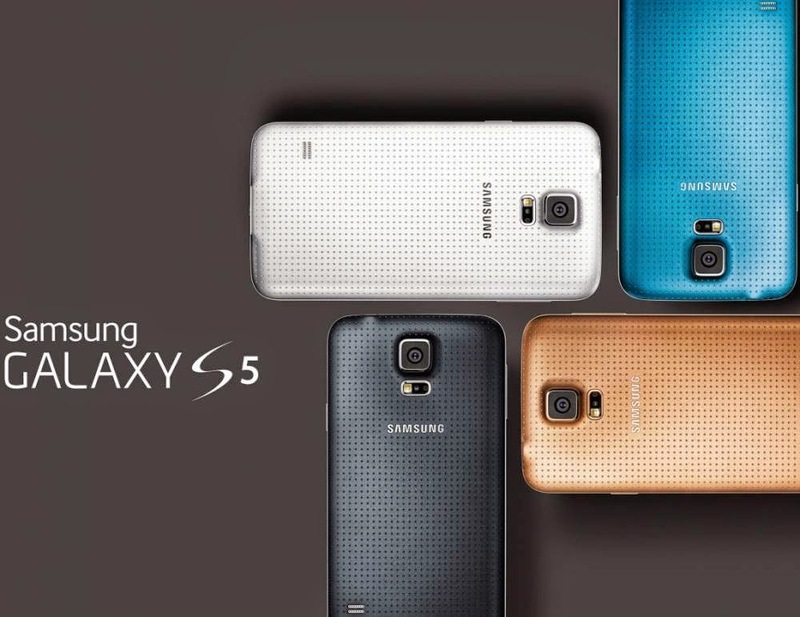 What have changed in the new version of Samsung Galaxy S5 Vs. Samsung Galaxy S4. Display: Samsung Galaxy S4 comes with 5-inch, 1920×1080, 441 ppi.And Samsung Galaxy S5 comes with 5.1-inch, 1920×1080, 432 ppi. Operating System: Samsung Galaxy S5 comes with the new version of OS Android Kitkat 4.4.2, whereas the Samsung Galaxy S4 users have to upgrade it to the newer version of OS. Processor: The processors of Samsung Galaxy S4 & S5 are Snapdragon 600, 1.9 GHz Quad-Core & Quad core 1.9GHz + Quad core 1.3GHz + XMM6360. Camera : The camera features of S4 are 13MP/2MP , Full HD video recording and S5 are 16MP/2.1MP ,4K video recording. Battery : The battery capacity of Samsung Galaxy S5 is higher when compared to Samsung Galaxy S4.Galaxy S5 comes with 2800 mAh with Ultra Power Saving mode and Galaxy S4 is 2600 mAh. Connectivity : The connectivity features of Samsung Galaxy S4 are 4G LTE Cat 3 , USB 2.0 , Wi-Fi b/g/n and Galaxy S5 are 4G LTE Cat 4 , USB 3.0 , Wi-Fi ac. Build Quality: The built quality of S4 is Plastic, metallic edges and S5 is Still plastic with perforated pattern, metallic edges. The main special feature which is added in Samsung Galaxy S5 is it comes with a Fingerprint scanner (Home key) , Heart rate sensor (via camera flash) ,IP67 Water and Dust resistant.